An interesting new game called Cube Trains is in development and it works on Ubuntu. The game uses the Frogatto engine. The tutorials are fun and easy, but the game is challenging. 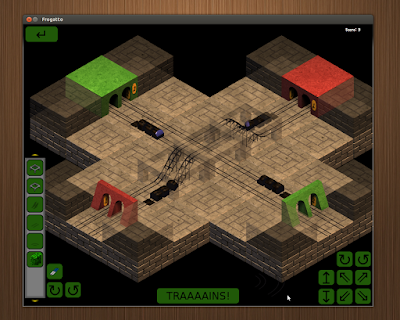 Your task is to build train tracks linking the train depots with their appropriately colored destinations. This game is still in early development, but if it interests you, give it a try. To install, you will need to download the DEB file and install it. Go ahead, dont be shy… give it a try!